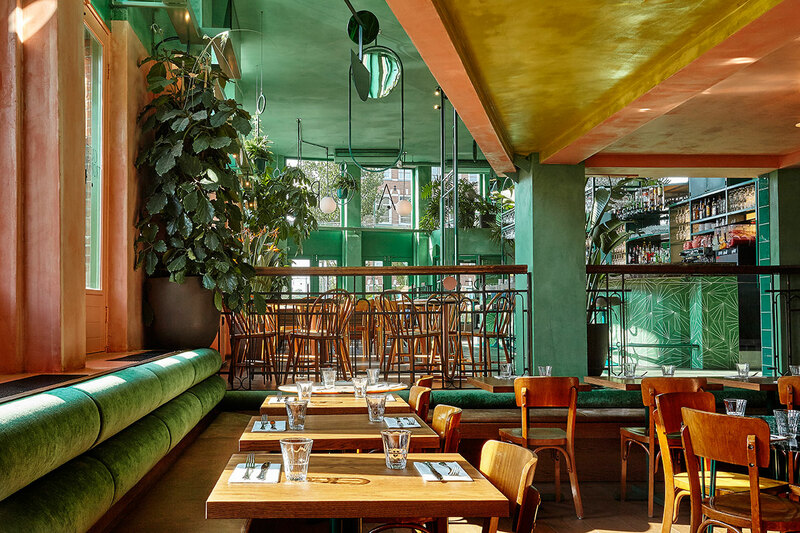 What with the current arty Monstera plants and home jungles obsession – observable in fashion, interior design and general visual culture – it’s no wonder that more and more establishments are edging away from the classic flower and vase arrangement. 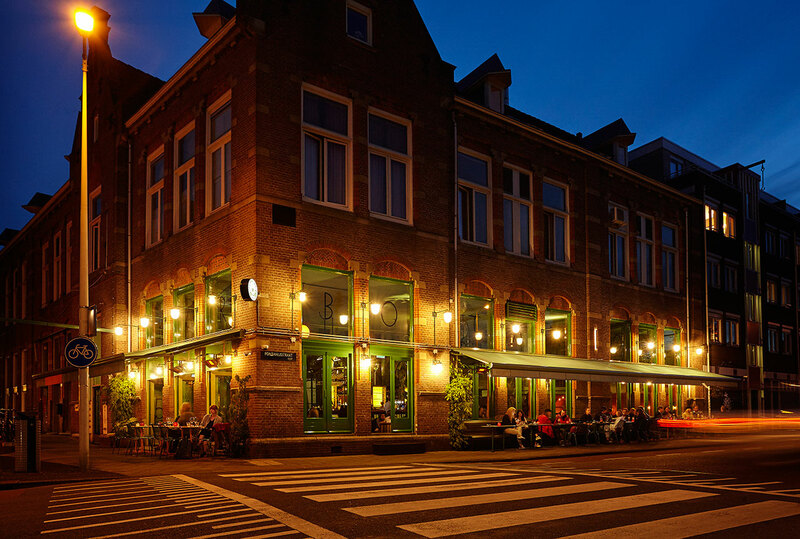 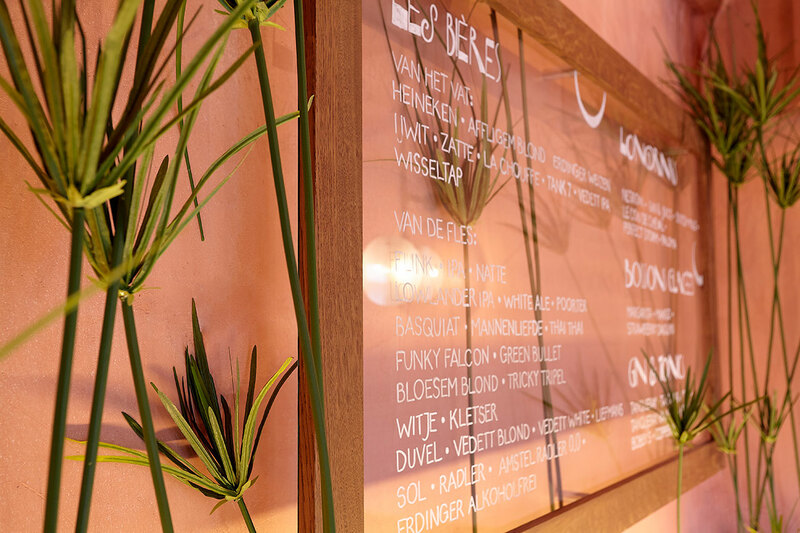 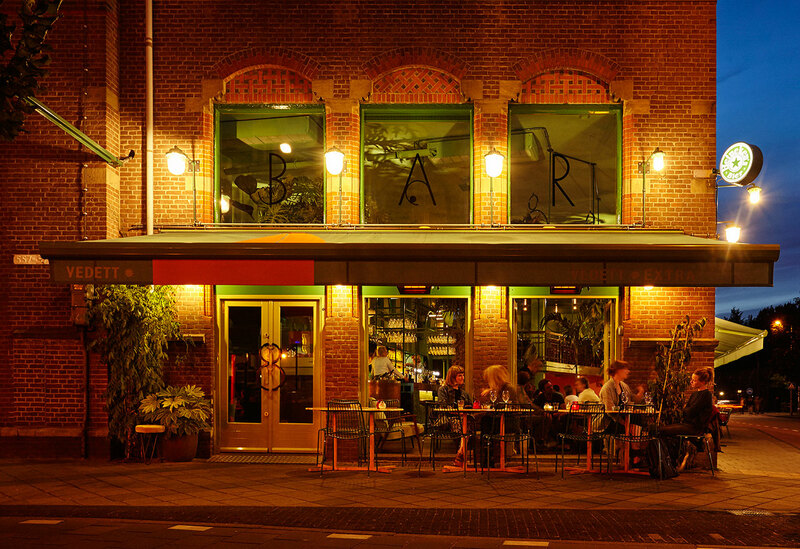 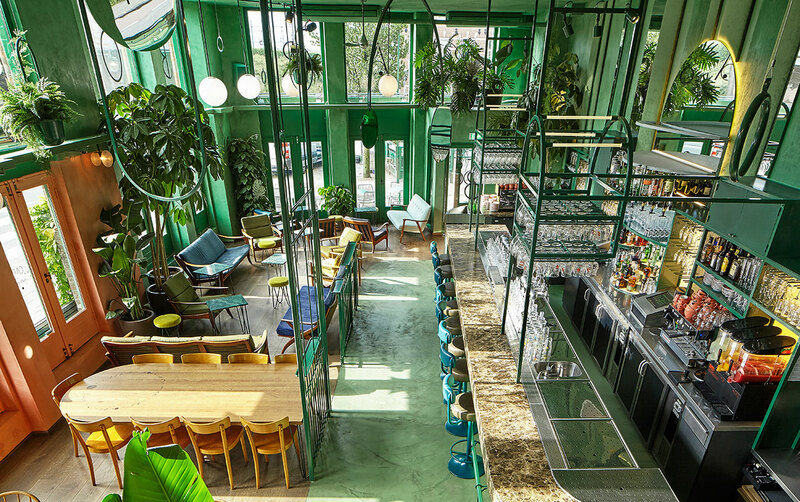 In Amsterdam, the newly opened Bar Botanique brings the idea of a homely green interior to another level where palm trees, Philodendrons, ferns and – yes – Monsteras hang from railings, ceilings and walls, often reflected by mirrors and highlighted by lamps in a seating area that combines Scandi-style sofas with small brasserie tables. 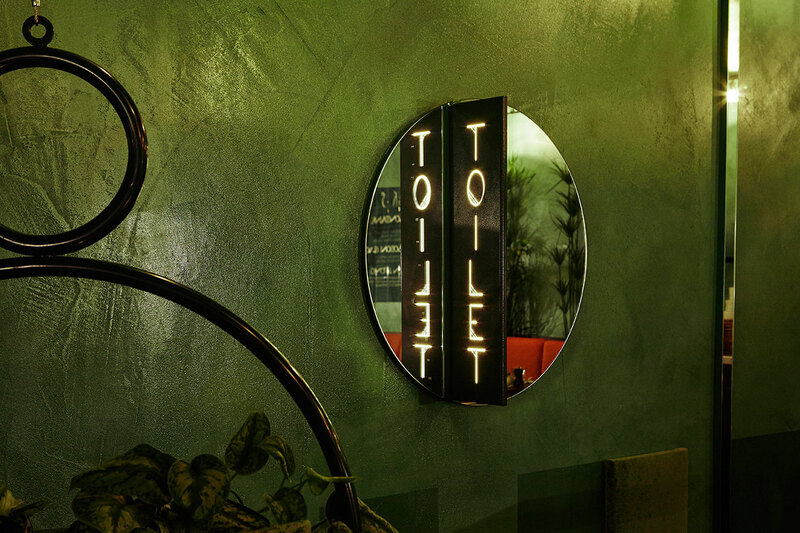 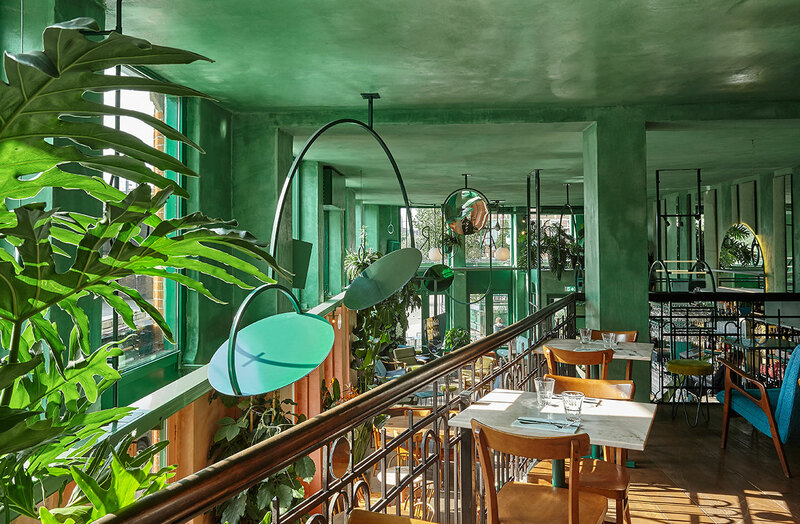 Bar Botanique brings the idea of a homely green interior to another level —where palm trees, Philodendrons, ferns and Monsteras hang from railings, ceilings and walls, often reflected by mirrors and highlighted by lamps. 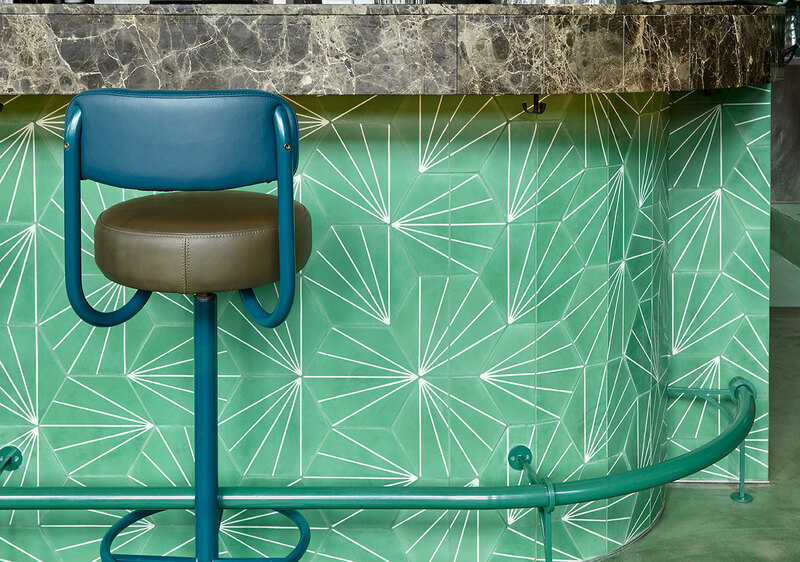 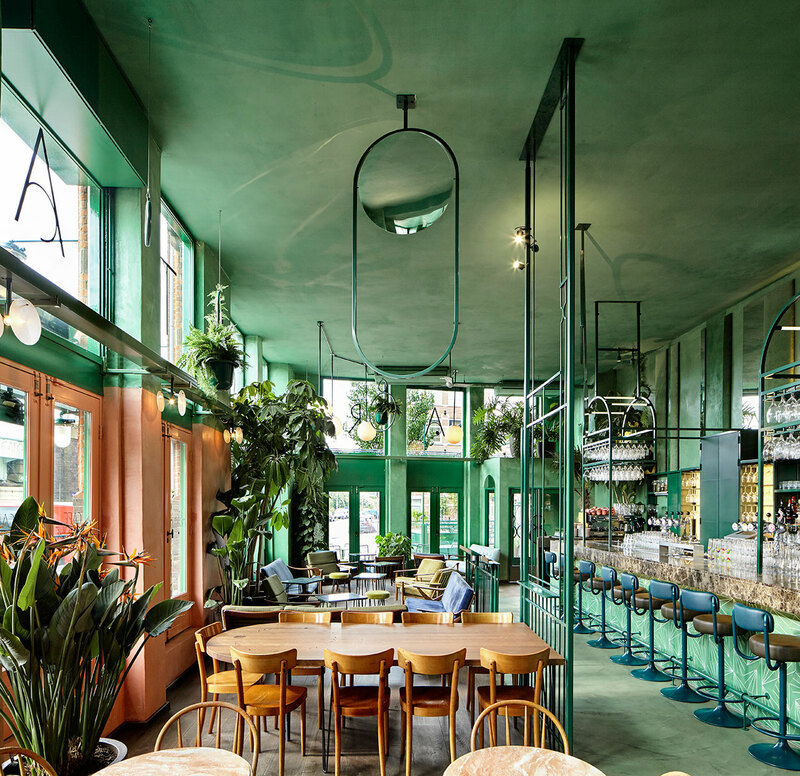 True to their tried and tested approach of creating truly enveloping spatial experiences, local design practice Studio Modijefsky have given the former gym-turned-café a fresh and colourful radiance. 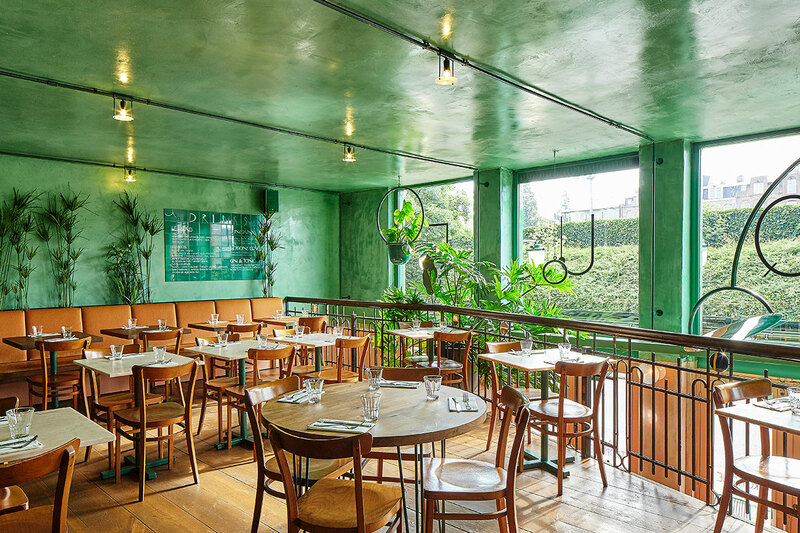 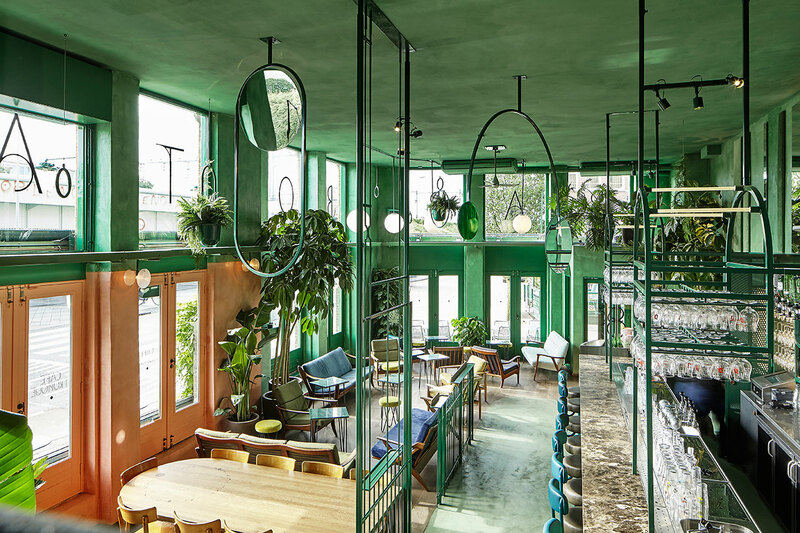 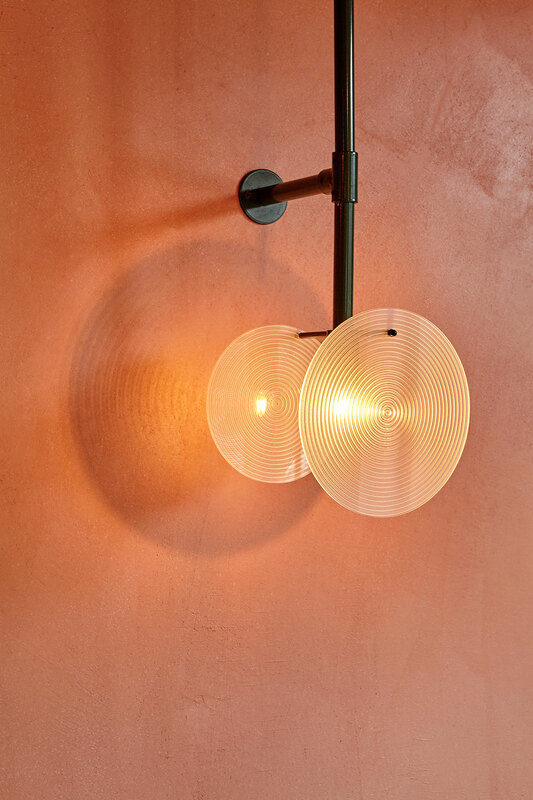 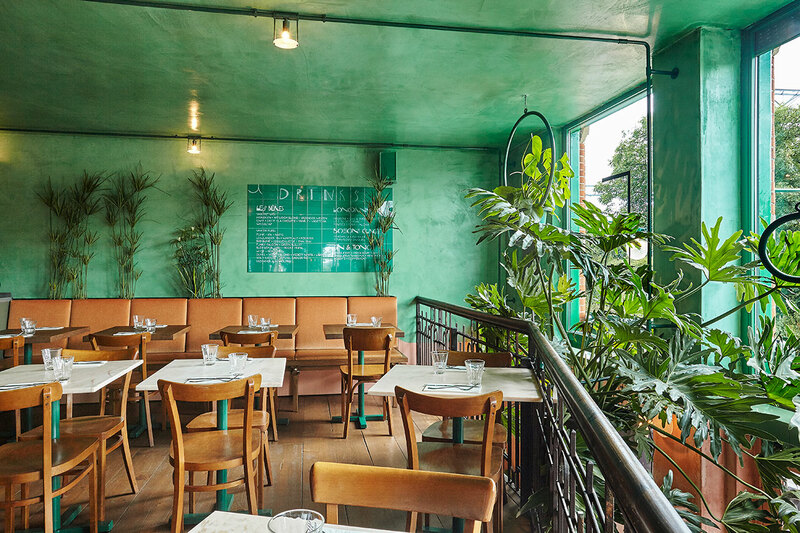 Daylight spills into Bar Botanique through double-height windows that take up the entire building’s corner façade while the walls, painted in bright green and sandy pink, give the interior a warm radiance. 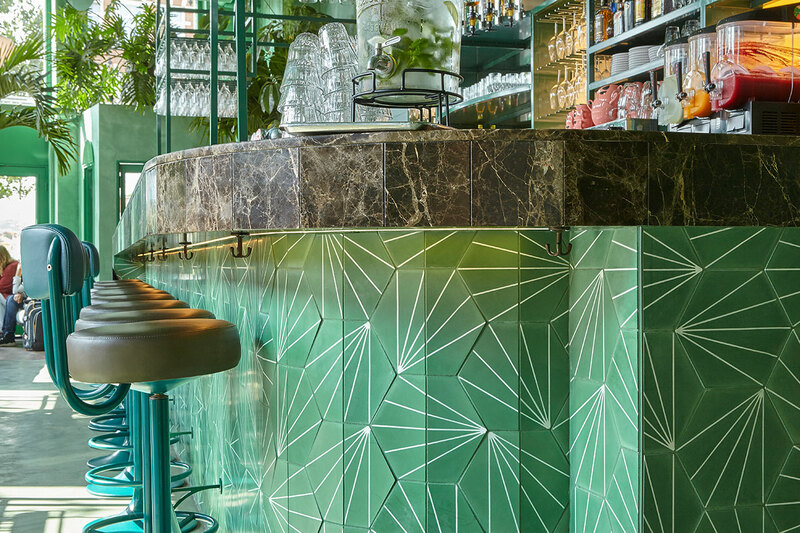 Floors made of light oak plinth and concrete in the same bright green, and complimented by a glossy ceiling, amplify the incoming light even more. 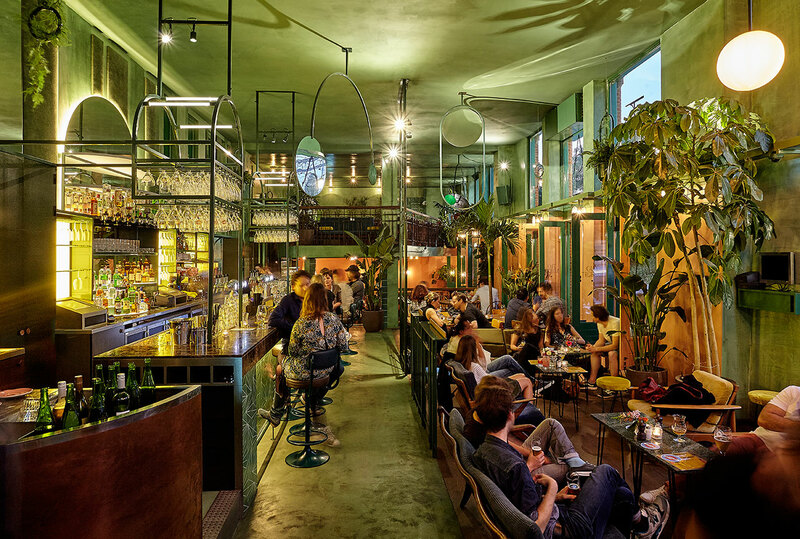 On the ground floor, the bar area is anchored with a marble counter top lined with bright blue lounge chairs that can seat guests out in the open, but for those seeking a more subdued atmosphere, make a move to the upstairs mezzanine. 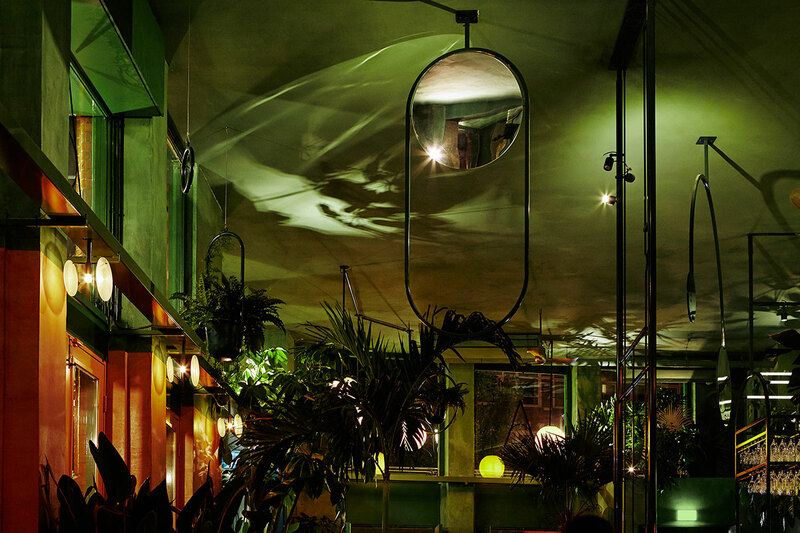 Although brown wooden chairs, marble tables and green and sandy pink walls are still the protagonists, in the back more intimate lighting takes over, making it a great place to transition to for come later on in the day where the shadows of the ample greenery become darker and more atmospheric --proving that Bar Botanique was completely justified in adding, very charmingly, Café Tropique to its newfangled name. 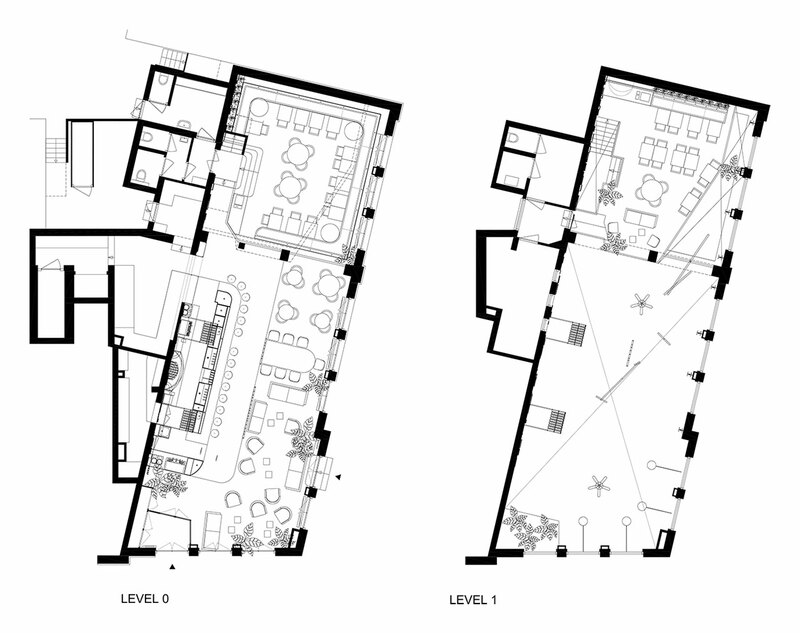 Floor plans © Studio Modijefsky.